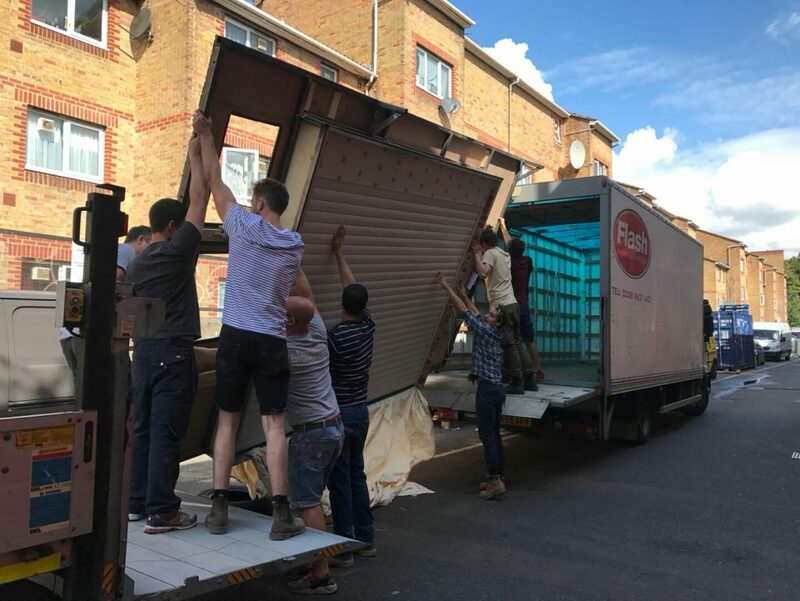 The summer saw Footprint’s return to Hampstead Theatre, building Tim Shortall’s set for Prism, starring Robert Lindsay and Clare Skinner. Terry Johnson’s witty and poignant play is based on the extraordinary life of Oscar-winning cinematic master Jack Cardiff, who was known as ‘the man who made women look beautiful’. Surrounded by memorabilia from a lifetime of ‘painting with light’, Jack is to complete writing his autobiography, which becomes ever more difficult as in later life Jack suffered from dementia and would rather live in the past than remember it. 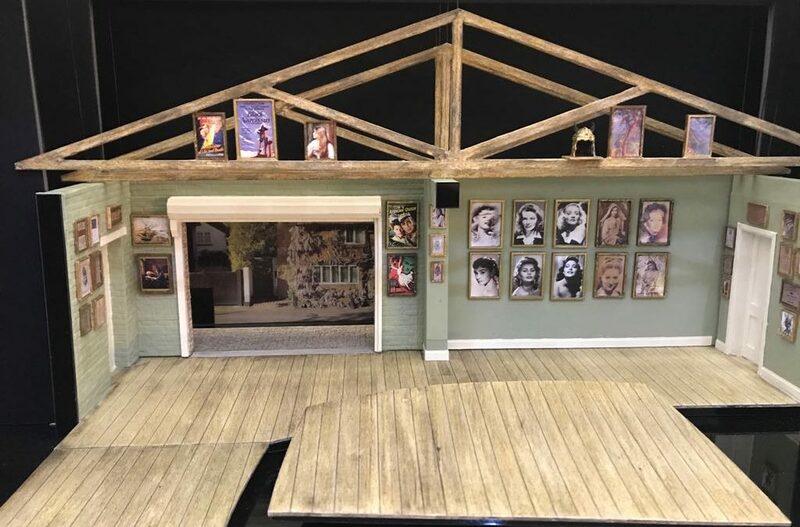 Designer Tim Shortall’s set was described by Ann Treneman, writing for The Times as ‘…a thing of wonder with a huge Technicolor photographic backdrop. 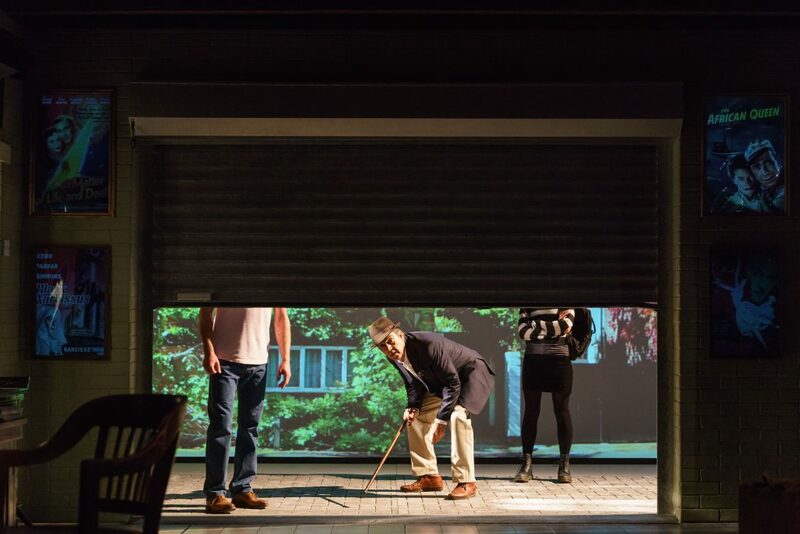 The garage wall photos come alive and there are some beautifully lit paintings (Cardiff loved lighting in any form, including chiaroscuro)’. Footprint have worked with Tim previously on Max Stafford-Clark’s This May Hurt a Bit, and it was great to collaborate once more. The dream team was completed with Pam Nichol, Production Manager of Prism and Footprint’s Production Manager, Jen Patterson. 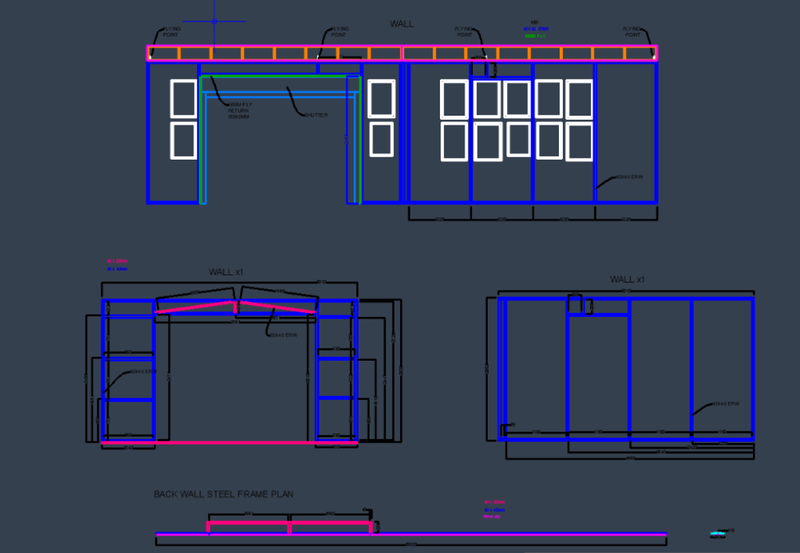 Jen recalls the intricate, and technically challenging set, with this insightful case study, starting with working drawings which show the upstage wall consisting of a practical garage door and 10 practical TV screens. The wall had to be flown during the performance with the Garage door open and then returning with the garage door shut. 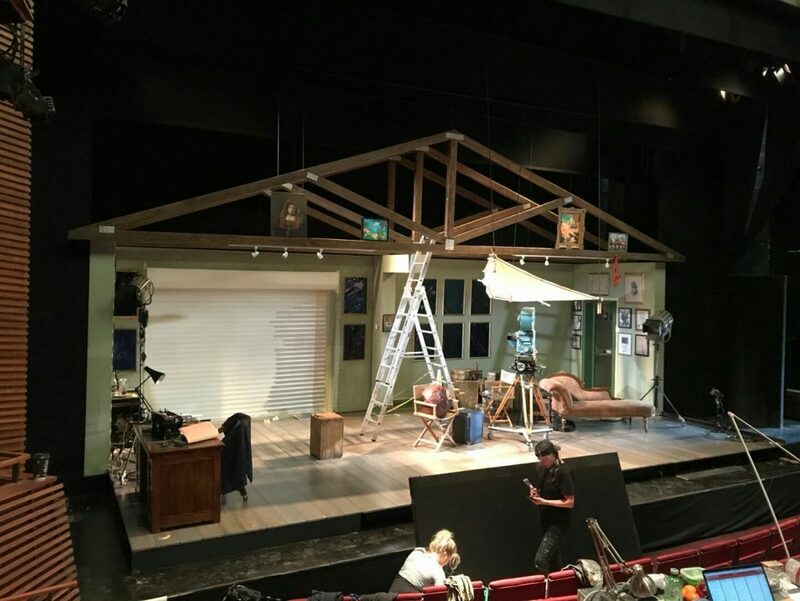 Footprint were delighted to create this theatre set for Hampstead Theatre and to be doing what we do best, delivering fantastic sets for many theatres around the country.